Description: Chams are ethnic Cambodian Muslims who typically work as fisherman and so often live along Cambodia's waterways. In Phnom Penh, a community of Chams live floating lives on boats and stilted houses, but the unprecedented pace of land development in Cambodia's capital puts them under constant threat of eviction. 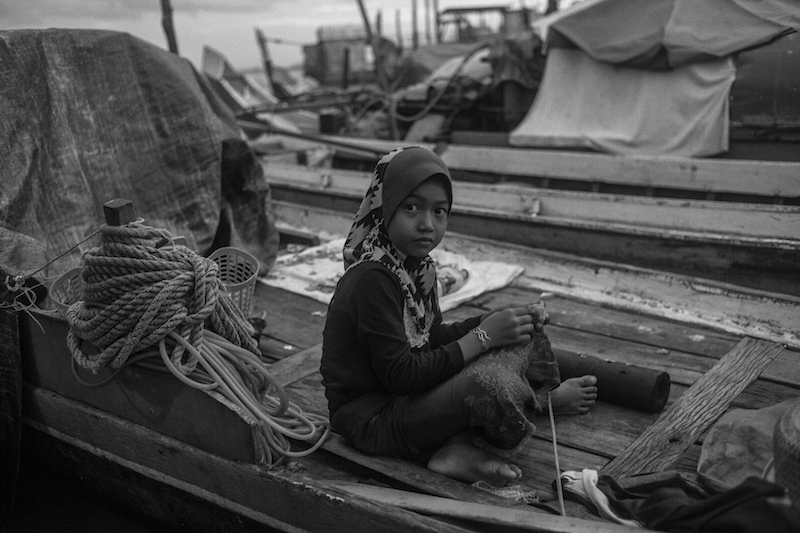 Caption: Chams are ethnic Cambodian Muslims who typically work as fisherman and so often live along Cambodia's waterways. In Phnom Penh, a community of Chams live floating lives on boats and stilted houses, but the unprecedented pace of land development in Cambodia's capital puts them under constant threat of eviction.